A slew of data points confirm that e-commerce and online retail are the true growth areas of retail sales. A growing number of ETFs offer investors exposure to those themes, including the newly minted Global X E-commerce ETF (NasdaqGM: EBIZ), which debuted last November. The Global X E-commerce ETF tries to reflect the performance of the Solactive E-commerce Index, which include companies that are positioned to benefit from the increased adoption of e-commerce as a distribution model, including but not limited to companies whose principal business is in operating e-commerce platforms, providing e-commerce software and services, and/or selling goods and services online, according to the fund’s prospectus. EBIZ holds 37 stocks with an average market value of $49 billion. The e-commerce segment is a quickly growing consumer sector. In 2017, 2.73 billion online shoppers accounted for sales of over $2.3 trillion. Looking ahead, the user base is expected to grow to 3.1 billion people globally by 2021. Meanwhile, online retail revenues are expected to surge to $4.88 trillion by 2021. 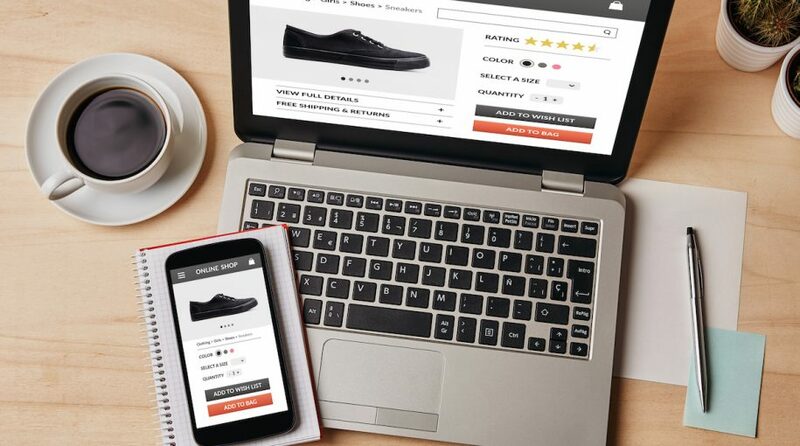 Shopping and consumer trends are changing as more buyers rely on the convenience of online retailers to quickly and easily meet their discretionary needs. As the retail landscape changes, investors can also capitalize on the trend through exchange traded funds that target the e-commerce segment. EBIZ takes a more diversified approach than some e-commerce ETFs, which are dominated by Amazon.com Inc. (NASDAQ: AMZN). Actually, Amazon is not one of the top 10 holdings in EBIZ. Familiar names among EBIZ’s top 10 holdings include Shopify Inc. (NASDAQ: SHOP) and Etsy Inc. (NASDAQ: ETSY). Have you signed up for the ETF Trends Virtual Summit on Wednesday, April 17? It’s complimentary for financial advisors (earn up to 5 CE Credits)! Register now to learn about inside the disruptive technology revolution.